Fracking has been a major determinant in the USA of the rapid fall in natural gas prices a factor which could be a game-changer for other industries TRU Group is active in. Therefore we have built a strong advisory expertise in in the design, execution and analysis of multifaceted studies in unconventional resources (shale oil & gas) both onshore and offshore. This includes production enhancement, well construction, completions, well performance optimization, well testing, workovers, and interventions. 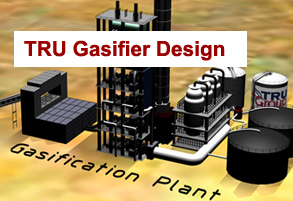 TRU experts have long experience in reservoir engineering and reservoir development projects. They developed innovative technologies to predict and solve the serious and costly problem of screenouts for example. 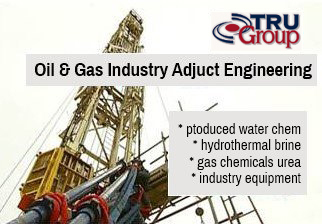 TRU assignment completed in oil & gas field equipment investment, methods and product/markets. We are experienced in organoclay and ceramic proppants for oil & gas drilling and in (coal) gas-based urea fertilizer plant. TRU Group evaluated the integrity and usefulness of the comprehensive US MITRE Corporation energy technology foresight model. The model is multivariate containing technology, manufacturing, and use factors for both conventional and renewable energy. Other econometric models and simulation techniques used in analyzing aspects of renewable energy production and use were compared. 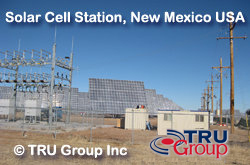 TRU Group Inc conducted an in depth assessment of energy demand use in remote villages/ camps and other non-grid-connected location. These remote villages are dependent on diesel generated power. Estimated energy consumption by end use and type. Also investigated availability of renewable energy in these locations and assessed the technology for displacement by renewable energy such as small-scale hydropower, photovoltaic solar cell electric energy & solar panel thermal solar, wind power, tidal power, power storage, geothermal, peat gasification and conservation of energy by better insulation . This study covered all Canadian remote communities and was published by Energy, Mines and Resources Dept of the Canadian Government under TRU Techno-economic Research Unit.. 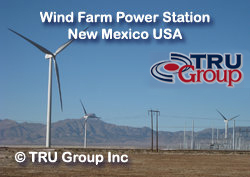 Many of TRU Group's recommendations were implemented and can be seen in many remote areas in north america. TRU Group undertook an in-depth assessment of thermal solar energy including compiling a comprehensive inventory of installations. Examined the techno-economics of thermal solar for various applications, including commercial buildings, homes, process water heating, and pools. Prepared historical segmented data on usage and forecast of demand. Published under TRU Techno-economic Research Unit. TRU Group conducted a market study in a United States regional market to assess the acceptability of a new insulation product to be sold to contractors and homeowners. Surveyed contractors and retailers. Made solid conclusions and provided client with product launch strategy. TRU Group worked with the National Research Council NRC to develop research and development priorities for energy conservation in buildings. TRU advised and facilitated a Task Force to examine technological issues that affected energy use in buildings and ways in which R&D could address those issues. Set objectives and scope out the R&D plan. TRU Group surveyed the use of various forms of conventional energy in school buildings as part of a program for finding an approach to energy savings. This was a first phase data gathering census of educational institutions in specified regions to be used by the government to institute energy saving measures in buildings that they own. Published under TRU Techno-economic Research Unit. TRU Group undertook a surveys of manufacturing companies to obtain data on their use and attitude towards energy conservation. This was for a major electric utility that was interested in encouraging energy conservation and looking for ways to manage peak power loads on their network. 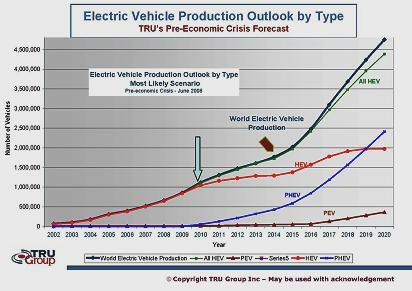 TRU Group assessed the state of technology and industry development of the solar cell and solar panel market. In depth survey of application and consumption of solar cells. Examined methods and techno-economics of manufacturing cells. Compared products on the market and in the pipeline. Technology foresight modeled and demand forecasts made. TRU Group assisted a start-up company to establish information on markets for their passive solar window designs. Regional market size was calculated, customers identified and product designs assessed. TRU client was advised on methods it should use to penetrate the American market. TRU Group conducted an in depth survey of insulation markets and competition with the objective of measuring the impact of the Government's "Home Insulation Program". Effectiveness of insulation products were evaluated. 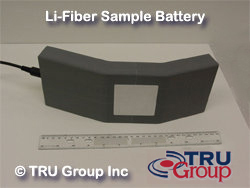 TRU Interviewed contractors and insulation manufacturers, and used concurrent homeowner surveys to assess market demand.